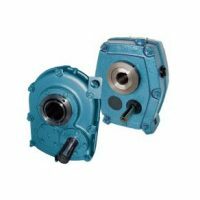 Shaft Mounted Speed Reducers – SMSR’s are designed to operate in the harshest of applications. They are typically used in quarrying and mining applications. Shaft mounted drives remove the need for coupling mounting plinths and have infinitely variable ratios due to the belt drive input options. They are also incredibly simple to fit. SMSR’s can be fitted with reduction sleeves and quick release bushes. Single reduction units are avaialble with a 5 / 1 ratio and double reduction units are available in either 13 / 1 or 20 /1. Unit sizes available from stock are B, C, D, E, F, G, H, & J. Other products we stock that are used with SMSR gearboxes are v-pulleys, pulleys, and taper lock bushes. Please call us to check availability on any item. We offer technical support, 24hr service and nationwide delivery on this product range. Call us on 028 92674137 or email us with your enquiry.